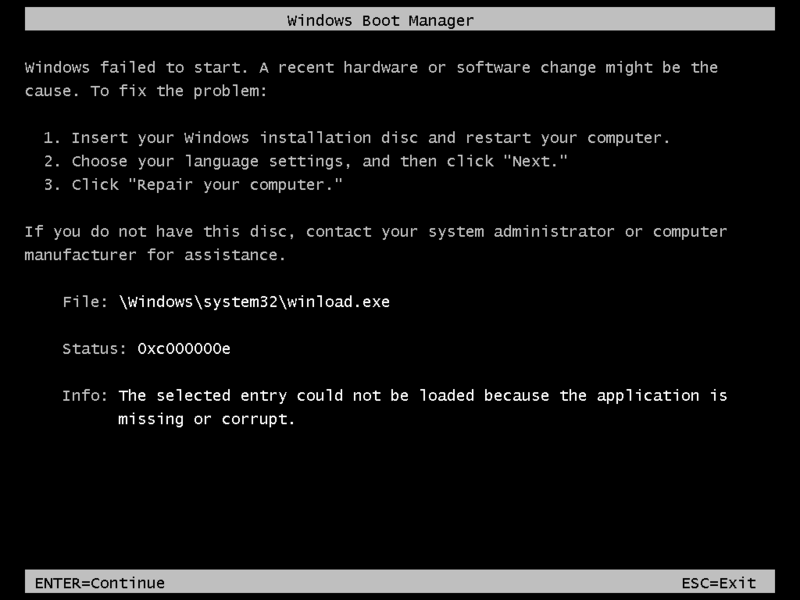 Windows 2008 R2 Operating System doesn't boot and show below error. This issue occurs because of below reasons. Metadata corruption in MBR or boot sector. Recent changes in Hardware which didn't recognized by Operating system. OS disk volume becomes read-only and fails to boot. To Fix this issue, we can use Startup Repair Process by following below steps. Boot Virtual Server from Windows Server 2008 or R2 Disk. If above steps doesn't fix the issue and it's showing same error, there may by issue that disk volume became read only hence it's unable to boot. Follow below steps to repair this. Run below commands to clear the wrong state of of volume. If attributes are showing yes, execute below commands. Reboot the Server and check if issue has been fixed. If still not working, then again try running below command to repair OS files after fixing read only issue. If sfc /scannow is showing below error, then make sure system drive is marked as letter C: while running above commands.